Hey guys its spring and April snow showers lead to.......... Jonesworks where we got some fun workshops and projects for your enjoyment. 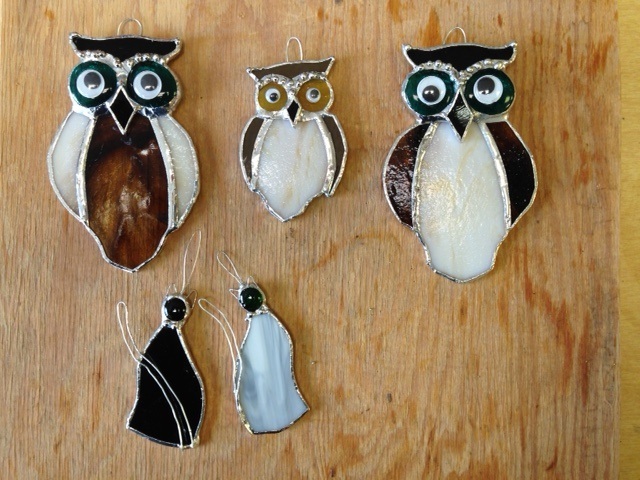 How about a stained glass birds $20, owl $30 and cat $10. The owl and bird takes about 4 hours and are the same size. We have a workshop on 2-28-18. Call and reserve a spot now. You can make an owl for $30. Do a cat for $10.